A restraining order is a good tool to have for reducing the risk of harassment and harm. While a restraining order is a good way to get protection against an abuser, it cannot always guarantee absolution protection. Statistics show that there are frequent violations of restraining orders. During a violation of restraining order, the respondent can be arrested for the violation and receive penalties for the violation. The court needs to prove that the violation of restraining order occurred "beyond a reasonable doubt" and that the defendant "knowingly and purposefully" intended to violate the restraining order. A person accused of violation of restraining order may be sent to jail or given probation, with a fine up to $1,000. (Repeat violators can be fined up to $2,000). An accused person may also be required by the court to reimburse the victim for any counseling. Violation of a restraining order is a contempt of court order. A restraining order lawyer can be helpful in preventing the restrained person found in violation from being taken into custody and taken to jail. A family lawyer can work hard to avoid possible misdemeanor or a felony charges and reduce jail time and fines. A family lawyer can represent your side. If you have been accused of violation of restraining orders, contact Attorney Search Network today. 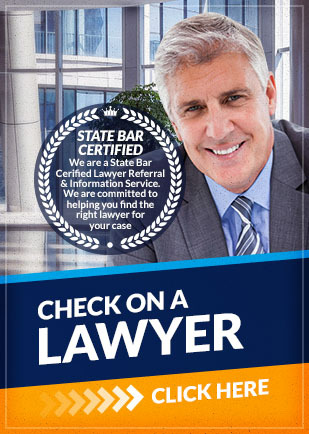 Attorney Search Network can help you find a family lawyer to assist you with violation of restraining orders charges.